Luxurious, hip hotel that marries modern design with an island feel. Rooms are small, but who cares with this view? Great option if you have the coin and want terrific food at your fingertips. VRBO has hundreds of options in Maui--most are condos. A condo allows you to have more space and cook some meals at home. You can choose super-luxury, like Wailea Beach Villas, or beachfront but not as pricey Wailea Elua (pictured), where you can be steps from the ocean. Or if your budget is a bit less, in Kihei you can find a wide range of units from $100-400/night. We like this place so much we often hit it multiple times when staying in Kihei or Maui. There's usually live music and a festive crowd. The mai tais are famous, but not our thing. We did love all of Jason's wine picks, the beer list, and the less sweet cocktail offerings. Favorite dishes: raw bar plate, fries, bulgogi tacos. Great service too. If you can sit in Chelsea's section, you will be happy. Everything here seems to be delicious, and the price point is well below most Maui restaurants. Super friendly, helpful service. Spicy jalapeno margarita was tasty & well balanced. Great beer & sake list. Skip the wine. Favorite dishes: Korean wings, pork buns (not as good as Momofuku in NYC, but that is not really our standard when in Maui! ), hot and sour bowl and garlic noodles. 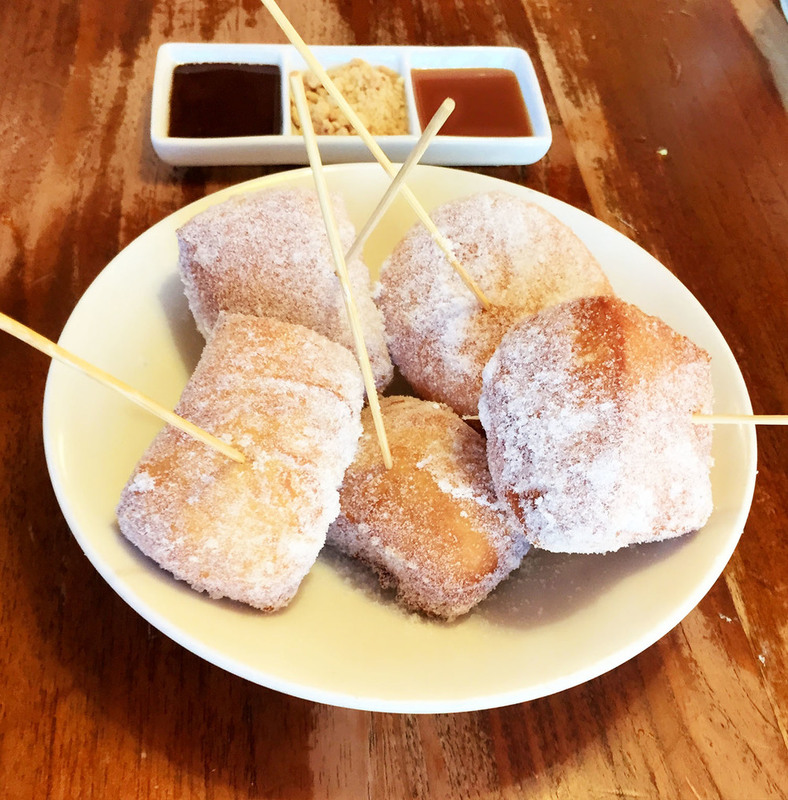 Malasadas are good too for dessert, just not the best in Maui. Starting the day off with a healthy acai bowl or a light breakfast sandwich is our way to start a day of snorkeling, swimming and relaxing on the beach. Take it to go and eat the beach across the street. There are lots of other options people love (Kihei Caffe for example), but we are not ones to wait 30 min in a line while on vacation. If you are dying for a quick breakfast sandwich that is less healthy, try 808 deli down the street. For regular coffee, your hotel may be your best bet. Can't highly recommend anywhere for espresso, which is our drink of choice. Java Lava at least has excellent customer service - super friendly people and fairly quick service most days (the frozen mocha thing is delicious, though not for purists). If staying in Wailea, the best option is the Mokapu market at the Andaz in Wailea. On the weekends, they also have delicious brioche donuts from Donut Dynamite. Espresso is just so-so, but you can drink it while staring at a killer view. Eskimo Candy's poke is killer, plain and simple. You get 4 types, but the spicy and wasabi are our favorites, so we pay an extra buck to get half and half instead of the other kinds. Total hole in the wall, so our preferred move is to get it to go and eat elsewhere. Pretty fast service. After reading this strip-mall lunch spot's proclamations of high Zagat scores, we thought we were walking into a tourist trap. Nope. The poke bowl is awesome - the brown rice is the perfect texture - and the fish tacos are legit, particularly when you add some Cholula. The coconut shrimp is good, albeit sweet - we enjoyed them with some hot sauce instead of the sauce provided. Order at the counter and take a seat at one of the surfboard tables. This place is more than worth going out of your way for. Mill House takes local to a new level, sourcing most of the ingredients from the plantation and neighboring farm. 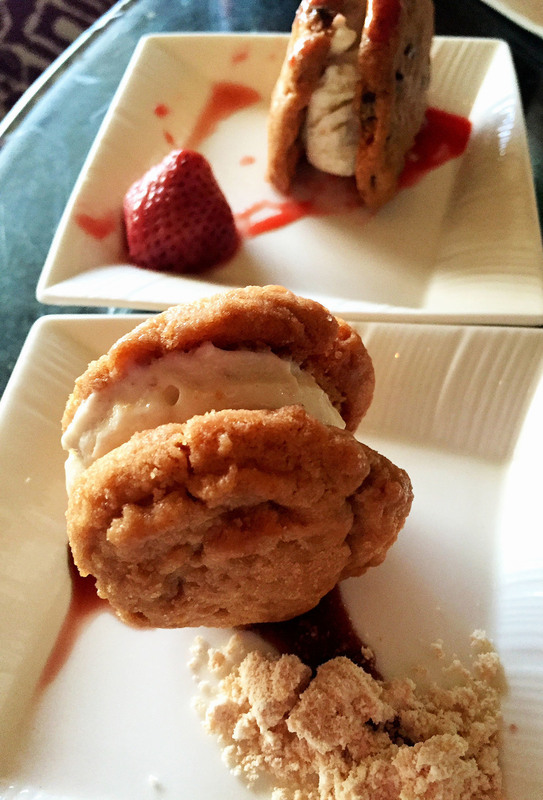 The setting is mind-blowing, the service is wonderful, and the food is inventive. Most dishes succeed (though not all - avoid pastas). The cocktails are well done and the wine and beer list is solid. Favorite dishes: cured boquerones w/ harissa, coconut milk jook (vegan! ), and hebi brandade. Click to book. Skip the luau and come here instead. Hawaiian entertainment at 5:30 PM (live music and dancers), complimentary bar snacks, tasty cocktails (Thai-garita was our favorite), fresh sashimi if you need to nosh, and over-the-top service. 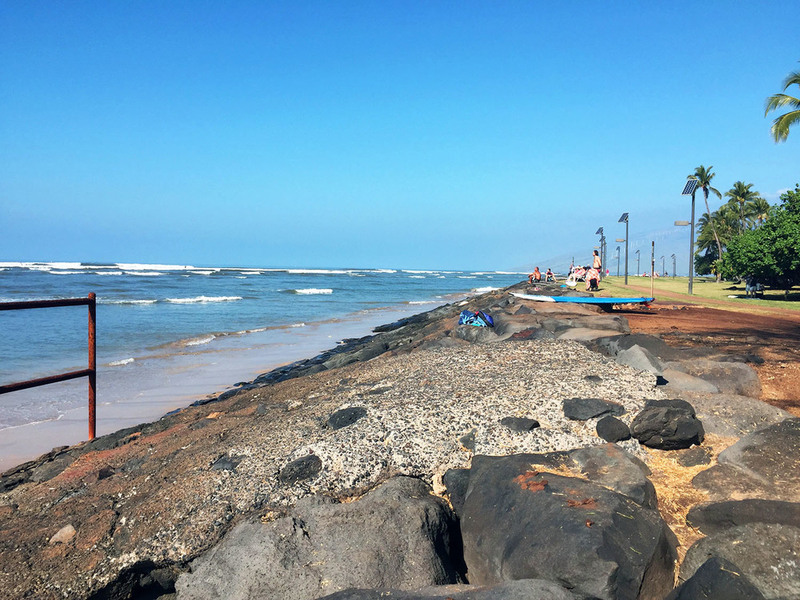 We had to deviate from our usual Delicious Weekend format, because we simply could not bring ourselves to do a long sit-down brunch when the beach was waiting. Instead, our choice is an acai bowl. 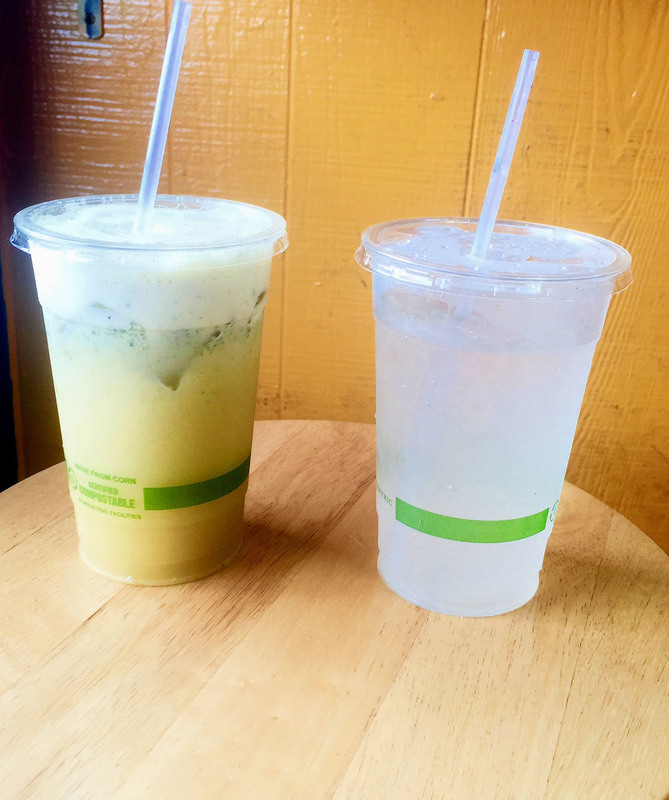 The lemonades and limeades are also a great midday treat -- Limonada de coco was our favorite. Lots of delicious smoothie options as well. If you are still hungry, you can always go across the street to Home Maid Cafe (see below) for a fresh malasada. Totally solid, fresh sushi in a strip mall setting. Much better than you would expect to find in Maui. Whether you want to eat here depends on where you live - if in L.A. or another great sushi city and in Maui for only a few nights, skip it. But if you don't have access to great sushi at home, definitely worth a visit. It's tiny so you need to reserve, often days or even weeks in advance. 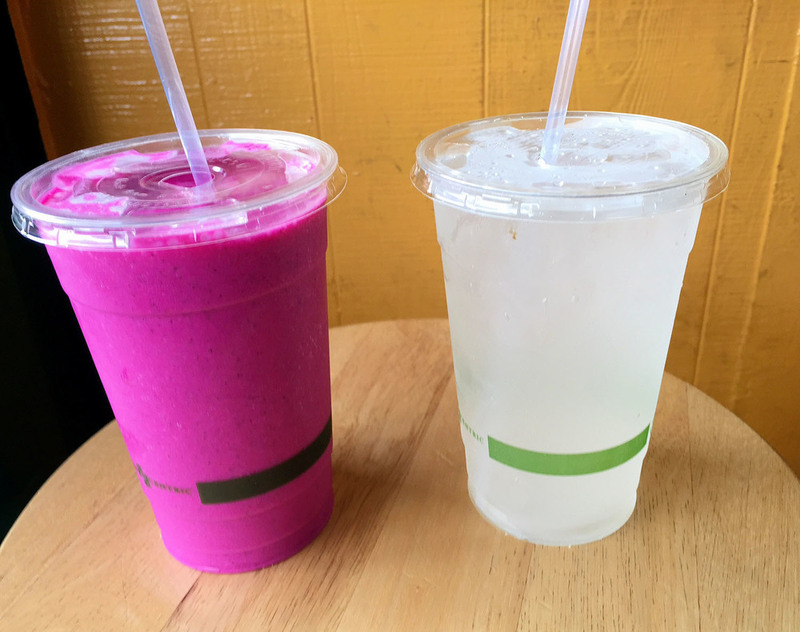 Total find for fantastic juices and smoothies. Not terribly out of the way if you hit after landing in OGG on your way to Kihei or Wailea. Good acai bowls too. For once, the tourists are right. 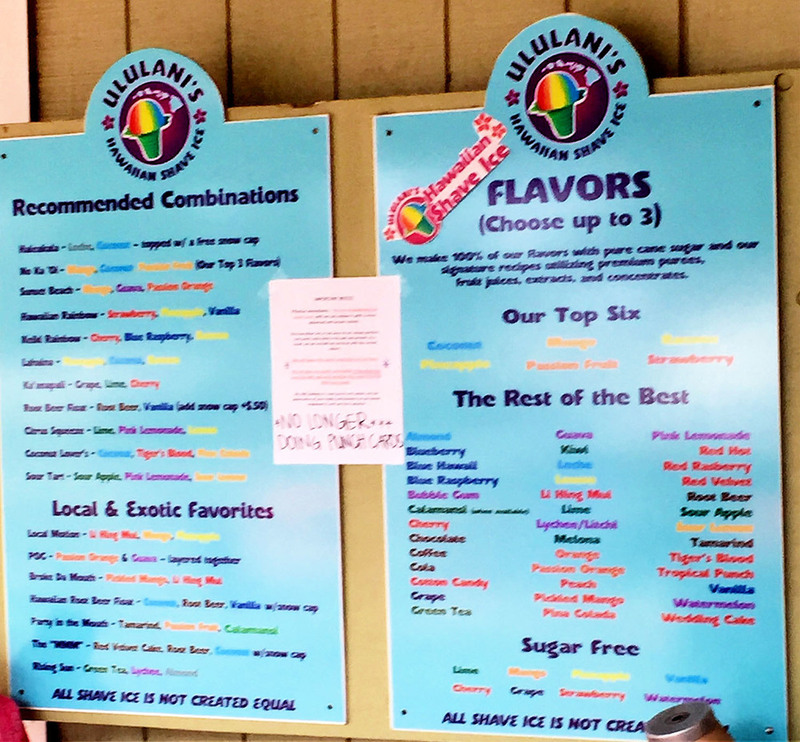 So don't bother trying the others - Ulalani's is the best. Some flavors are far better than others. Our favorites were mango, coconut and calamansi (local citrus). The micro is plenty large enough. 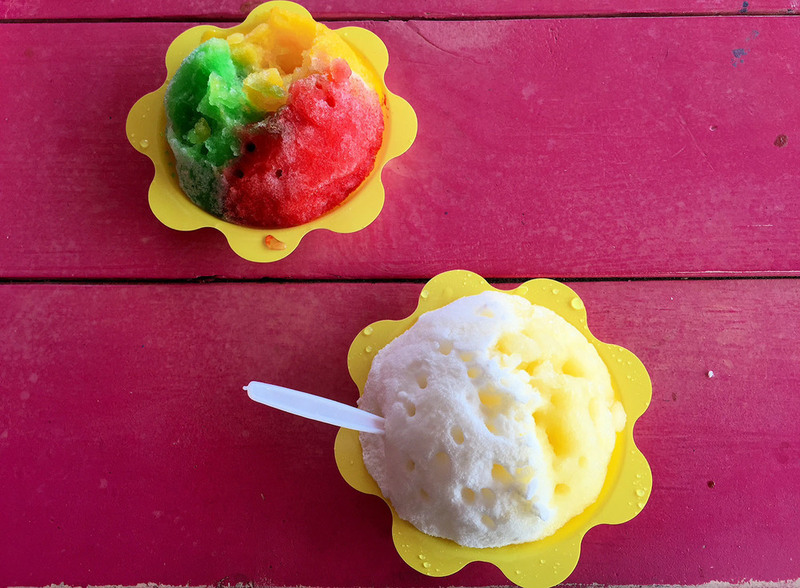 Shave ice is super sweet, so we skipped the toppers and ice cream underneath, but if you have a real sweet tooth, try those out. They have a bunch of locations.